Every time we work in the kitchen, we produce waste. 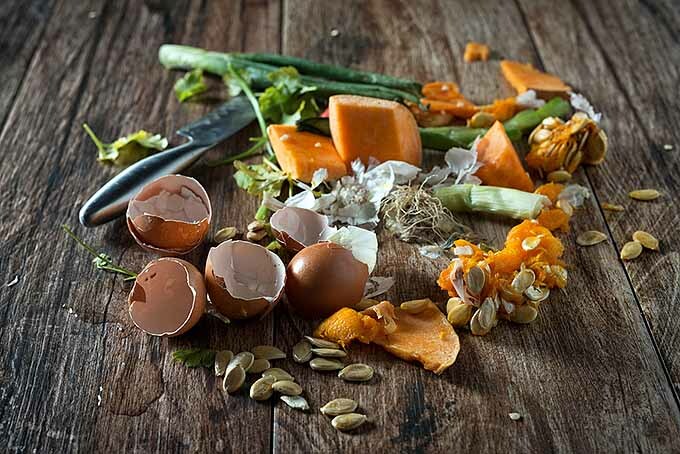 While some of it should be thrown away, some food scraps could actually still have some use in them, if we give them a chance. 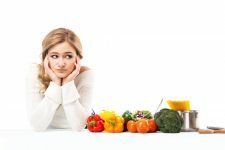 Many products we that we process – whether it be fruits, veggies, or other kinds of leftovers or food remains – usually end up in the bin long before they’ve been utilized to their fullest extent. But there’s more household advice where that came from! 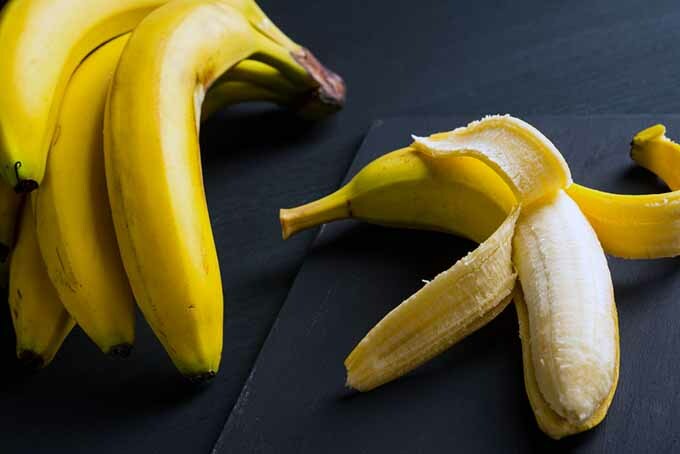 To reduce waste and make the most of your food purchases, we have collected eleven smart tips for you how to reuse many types of produce scraps that you’re probably throwing away! So let’s take a look at the unexplored potential of lemons, carrots, coffee grounds, and more! As long as you buy organic fruits or vegetables whose skins have not been treated or sprayed with chemicals before or after harvesting, you can feel free to use those peels and rinds for a variety of purposes. 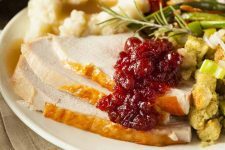 Instead of throwing the remainder of the fruit away after you squeeze it, why not grate it before you slice, and store the aromatic zest in the freezer for use in another dish? Maybe your recipe says to only use the juice of an orange. Instead of throwing the remainder of the fruit away after you squeeze it, why not grate it before you slice, and store the aromatic zest in the freezer for use in another dish? It’s not just the skins of citrus fruits that are suitable for reuse. Just think about all the skins you’re left with when peeling potatoes. Believe it or not, this basic concept works great for them as well. 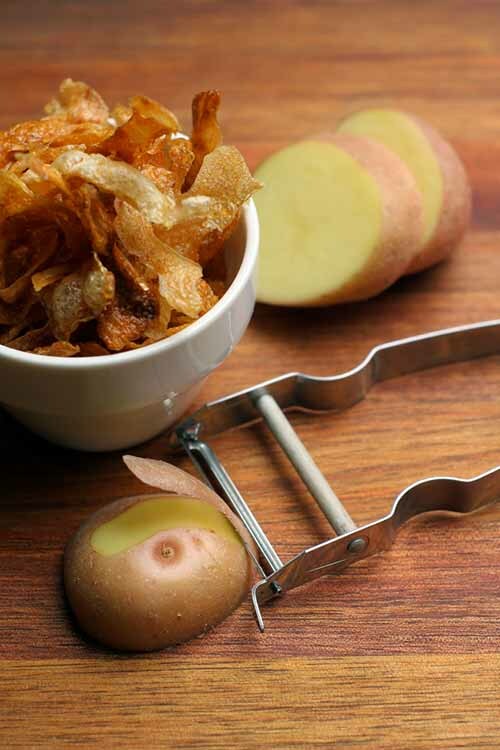 Why not make a fancy snack or crispy garnish out of the “waste” products of potatoes? 1. Preheat the oven to 390°F (200°C). 2. Place the peels in a large mixing bowl and toss to coat with a drizzle of olive oil, and a sprinkling of salt and pepper. If you like, add some red chili flakes or rosemary for a flavorful twist. 3. Line a baking sheet with parchment paper and spread the skins on it in a single layer. 4. Bake for 10-15 minutes until crispy tossing halfway through cooking to brown evenly. As an added bonus, the peels contain the majority of the nutrients offered by potatoes. Just be sure not to burn them to a crisp! Keep in mind: It’s important to not use green skins or spots where eyes are growing, since these contain higher concentrations of solanine, a chemical compound that is toxic to humans. 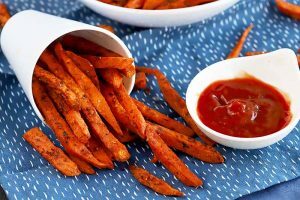 Potato skins have a few more tricks up their sleeves – read about their unique cleaning qualities later in this article. More often than not, we don’t use every part of a given vegetable. But it doesn’t have to be this way! 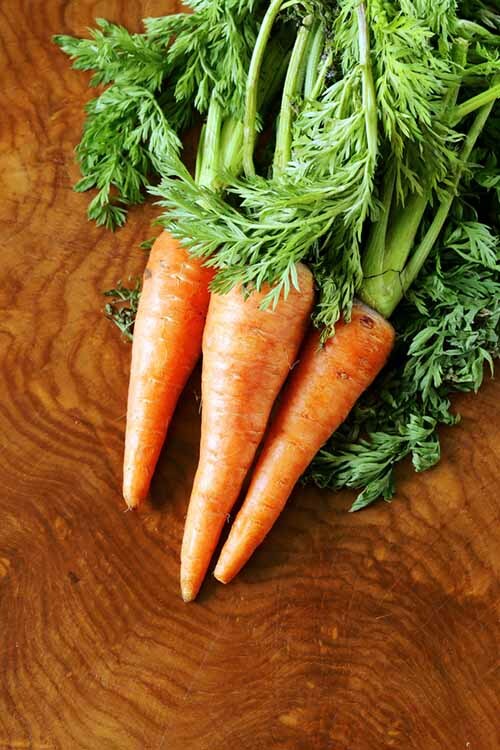 Think about the green tops of carrots, radishes, fennel, turnips, beets, celery, or kohlrabi. Do you tend to throw them away when you’re cooking? 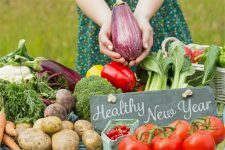 It may surprise you that the greens that top many of the veggies that we eat on a daily basis contain many of the same vitamins and minerals as the parts we more commonly consume, sometimes in even higher concentrations, or with additional nutrients to boot! Strictly speaking, this is quite a waste. 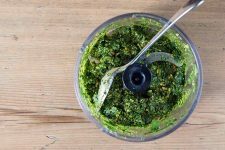 Instead of buying extra basil or parsley for making pesto, use the green tops of carrots. Keep in mind that carrot tops contain falcarinol (formerly known as caratatoxin) which some people might have a sensitivity to. Use washed and chopped greens to jazz up salads, soups, or dressings. They serve as great replacements for leafy green vegetables like kale and spinach, and will provide a fresh twist. You’ve probably heard about green smoothies and juices by now. 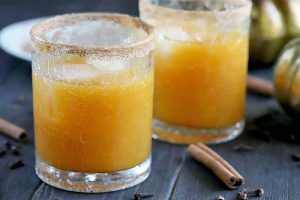 If you enjoy having one from time to time, use the leaves to add a new nuance of flavor and to boost the nutritional content of your healthy drink. 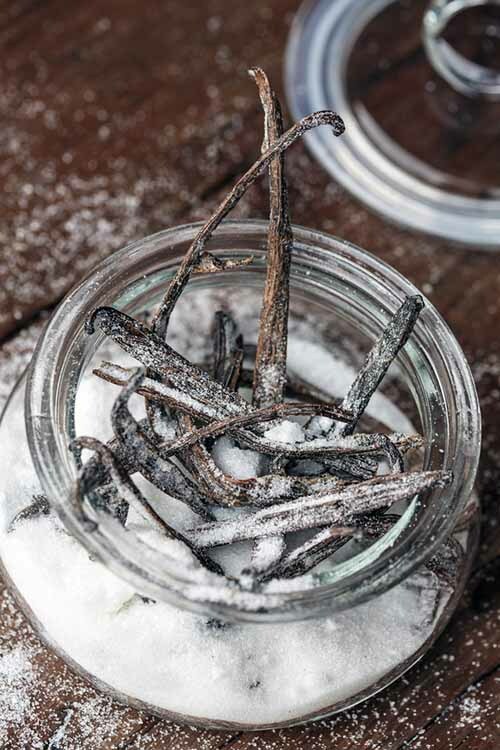 When your recipe calls for vanilla pods or cinnamon sticks, do not throw them away after you use them! Instead, you can make your own flavored sugar. If necessary, clean the pod or stick and allow it to air dry. Then add it to your jar of sugar, and enjoy the aromatic infusion. 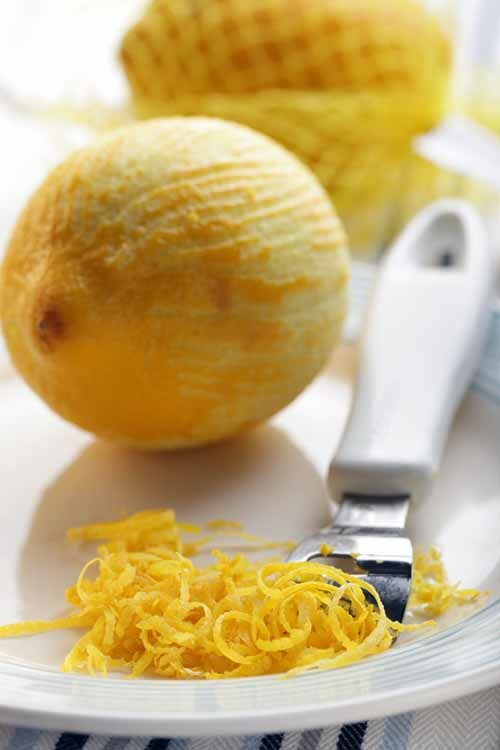 Tip: This works well with orange or lemon zest, too! Think about the many kinds of pits or seeds that our good to eat, that we often buy shelled and pre-roasted and salted from the store. 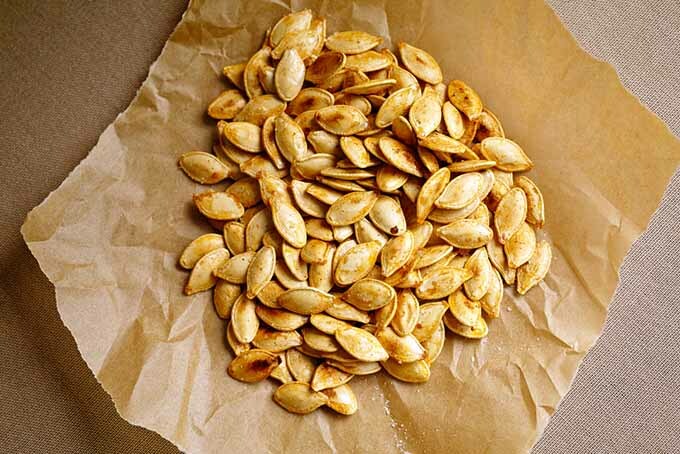 Making your own roasted pumpkin seeds could be one of many options. 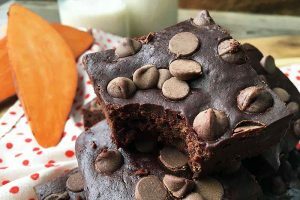 Especially in the autumn, when pumpkin time is as its peak and Halloween is just around the corner, you have lots of great snacking opportunities at hand. Do you tend to throw away the seeds after scraping out the pulp or making a soup or a pie? 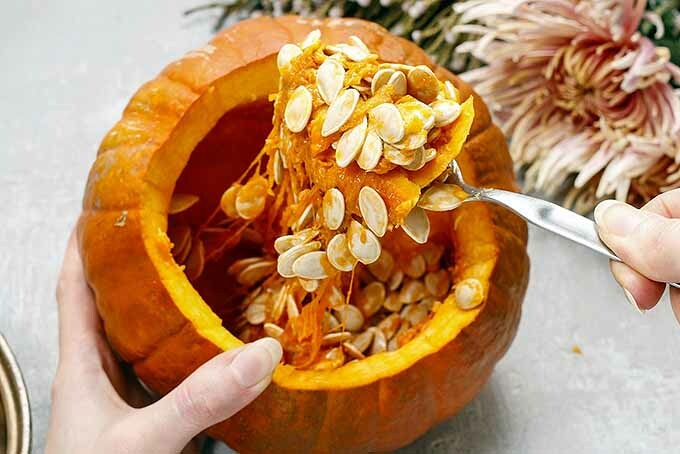 If so, you have passed up a golden opportunity to make your own roasted pumpkin seeds at home! 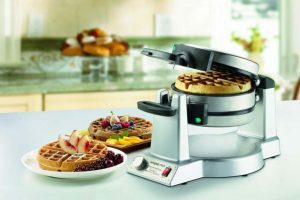 The best thing about this is that you have full control over the flavor and ingredients, plus you are able to reduce your produce waste. 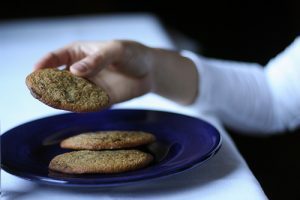 In the end, your tasty treats can be used as toppings for soups or salads, but also as a healthy snack in between meals. Although this procedure takes some patience and time, it’s absolutely worth it. The first step is always to dry the seeds, and you can choose to roast them after this or not. Simply dried, they make a great addition to baked goods such as homemade bread, but also to your breakfast cereals or yogurt. There are some vegetables that can be re-grown after use without much effort or expert gardening skills. All you need is some fresh water and a bit of patience. Many vegetables are able to develop new roots after 1-2 weeks, some even quicker. Some veggies that work well with this method are celery, scallions, and romaine lettuce or similar leafy greens. Fennel, lemongrass, celery, and ginger also work well. When prepping these veggies in the kitchen, we tend to cut them quite generously around the root end. This part is often thrown away – but it is exactly what you need to regrow these veggies at home! Now, don’t expect any miraculous growth. You probably won’t be able to cultivate enough vegetables using this method to satisfy all of your needs. But the chance is there to at least use the greens one more time, instead of handling them as scrap. For spring onions or scallions (one of the easiest examples for using this method), put the leftover parts into a glass of water, standing upright with the roots at the bottom. Change the water daily. After about a week you will see that they have grown, and after about two weeks you will be able to use the greens, depending on the available sunlight. 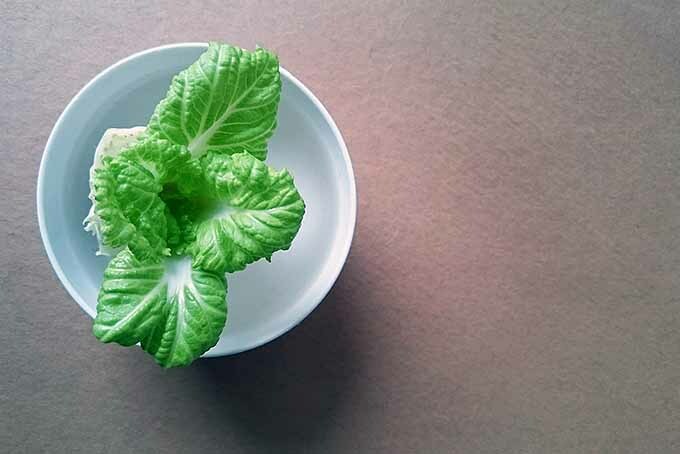 You can wait for a couple more days until there is enough green to use for a recipe, like the romaine leaf cups in our recipe for spicy beef lettuce wraps. Or you can wait a bit longer for it to develop new roots and transplant it into a pot, or your backyard garden. The same procedure applies to celery or lettuce. Put the stem into a glass of water root end down, and wait for it to regrow its leaves. This way, you can reduce food waste – and enjoy growing some new greens for your next dish. For ginger that you have had for some time, you might notice that shoots have begun to sprout. These portions can be planted directly in a pot of soil to grow again. For a complete guide to growing your own ginger, don’t forget to check out the extensive guide at our sister site, Gardener’s Path. 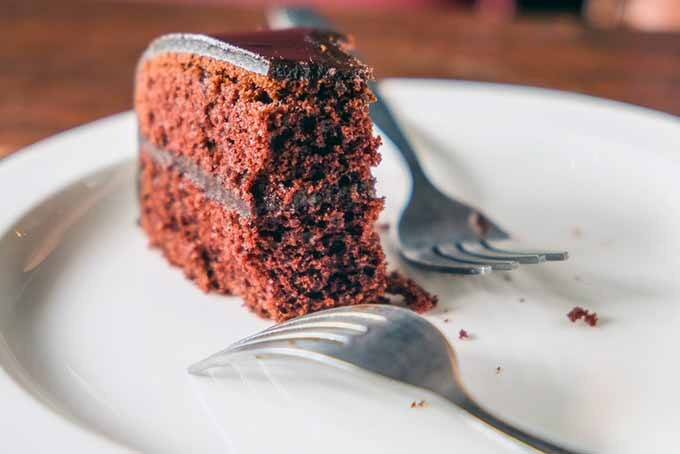 Sometimes we have some cake or cookies left over, and they quickly become stale. But it’s a pity to throw these away, especially if they were homemade! So what can you do with what remains? 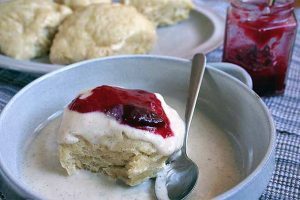 First, you could make your own topping for creamy layered desserts or yogurt by crumbling the pieces into fine crumbs. If you like, you can toast the cake first. 1. Crumble the leftovers until fine. 2. Add the frosting or coating bit by bit until the consistency is such that you’re able to shape small balls with the mixture. 3. With your hands or an ice cream scoop, form into balls and chill in the fridge. 4. Serve these as they are, or turn into cake pops by inserting lollipop sticks firmly into the centers. If you have some chopped nuts, chocolate sprinkles, it’s fun to dip these into white or dark chocolate before sprinkling with your favorite toppings. The palm tree in my apartment is a loyal companion of mine. I bought it when it was small, and could be carried in my arm with no problem. Today, it has grown to a considerable size and needs regular care. The expensive fertilizers that you can buy at nurseries and garden centers, chemical or otherwise, are not my first choice. Instead, I like to keep it natural and use things I already have at home to feed my plants. 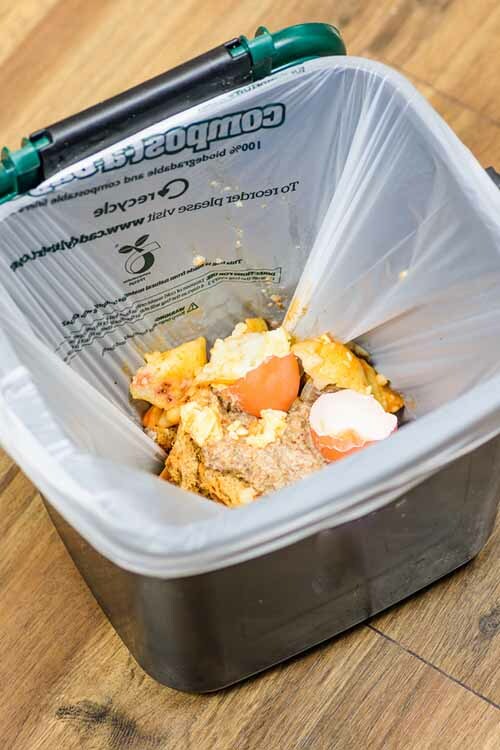 Although it’s best to establish a compost bin or pile and break all of your food scraps down into smaller particles via microbial action, not everyone has the space for one. 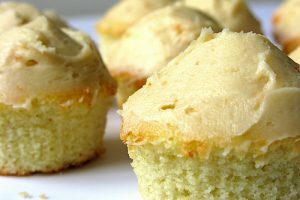 It’s true that this is one recipe that you won’t benefit from directly, but our houseplants have to eat too! 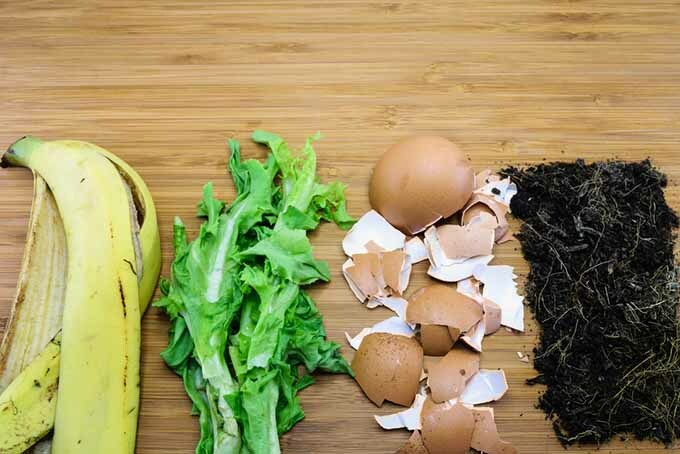 All you need for treating your plants to the proper nutrition are eggshells, coffee grounds, and banana peels. So, how does this work, and what do these various kitchen scraps do? 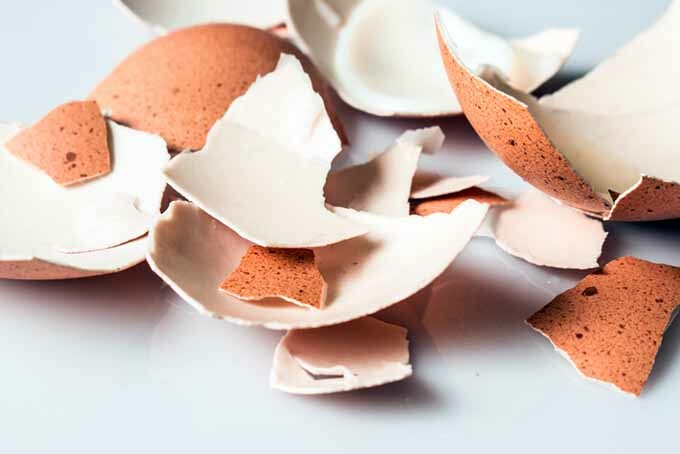 Eggshells contain helpful substances that are of great use when it comes to fertilizing green plants. The shells mainly contain calcium carbonate. 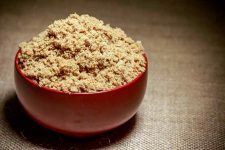 But there are also other salts like magnesium carbonate, magnesium phosphate, and calcium phosphate. These substances can prevent an acidification of the soil. However, not all plants like calcium carbonate equally. Therefore, those that require acid soil like rhododendrons, hydrangeas, or berries should not be cultivated with eggshells. But how do you apply this homemade fertilizer? After cracking your eggs, put the shells aside, rinse with clear water until clean, and set aside to dry. Then crush into pieces. Add the pieces to the water in your watering can to soak overnight. The next day, water your plants as usual. Remove shells from the can and discard after use. 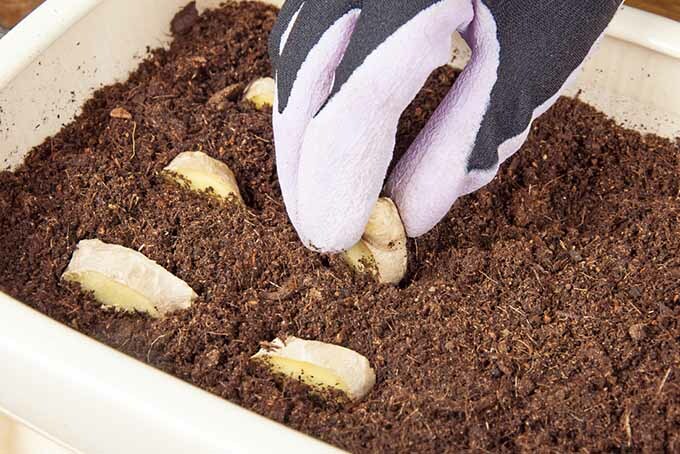 Tip: If you like, you can also mix the shells directly into the soil. Crush them thoroughly to a powdery consistency, since large pieces can’t be decomposed quickly by the soil, meaning the plans cannot benefit as easily from the added nutrients. Do not throw away the remains of your daily dose of caffeine – coffee grounds are another natural fertilizer. This is a cheap source of nitrogen, potassium, and phosphate. How do you know if your plants need it? A lack of potassium can often be identified by yellow, discolored, and weak leaves. However, the grounds also have an acidic pH value, so you should only occasionally add it to plants that tolerate it well, like rhododendrons, angel’s trumpets, hydrangeas, blueberries, or roses. These plants will be most grateful for it. 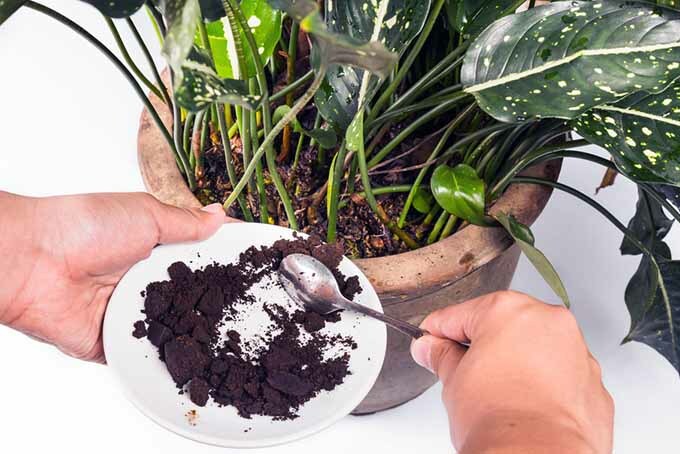 Before adding leftover grounds to the base of your plants, let the coffee grounds cool down and dry completely, because moisture can encourage mold growth. Spread them onto a baking sheet lined with paper towels, and let them dry overnight. Then mix the grounds into the soil. First, these come in handy for cleaning and dusting house plants with large green leaves, like potted palms. To achieve a shiny and clean surface, wipe the leaves with the inside of a banana peel. This removes dust on the surface and allows the plant to absorb more light for photosynthesis. Although this might sound quite tedious, the procedure is worth it. After wiping down with the peels, gently polish the leaves with a soft, dry cloth to remove any streaks left behind. 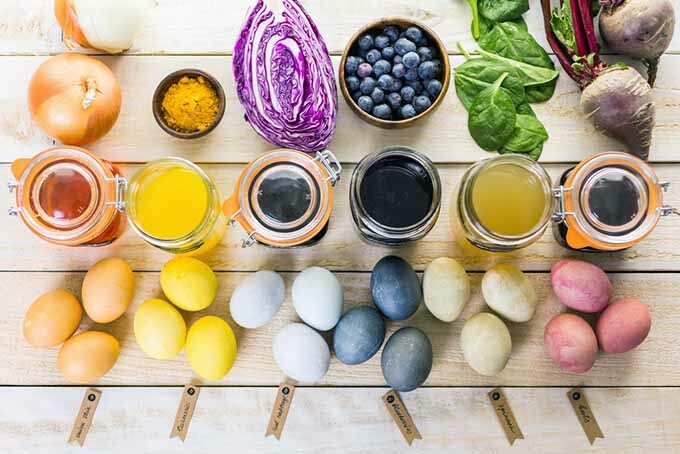 Some foods are perfectly suited for coloring fabrics, paper, and Easter eggs the natural way, without the use of artificial dyes. Especially if you’re a fan of DIY, you’ll be able to create some wonderful new hues with kitchen waste products like coffee grounds, tea bags, beet scraps, and red onion skins. You can also try carrot peels, fresh herb stems, red cabbage scraps, and citrus peels. A variety of other heavily pigmented natural products like berries and fresh turmeric are also suited for this purpose, but these ingredients often yield very little waste in our kitchens. Natural dyes are often more muted than the commercially available stuff, though this isn’t always the case. Experiment with quantities of scraps to dye, to see what you can come up with. 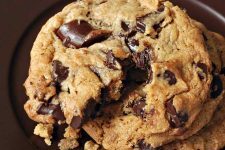 Of course, these aren’t typically the types of dyes that you’ll want to add to your cake batter, since they may impart their own (unwanted) flavors, and may turn brown when heated. Just bring your “dyeing agent” to a simmer in some water, to release those pigments. Continue to cook until you’ve extracted all of the color that you can, for about an hour. Dyes can be cooled before using. Adding some salt or vinegar (depending on the type of dye) and simmering while fabric is submerged in the dye can also help to create a more vibrant stain. Eggs can be boiled in the dye bath, or dunked in the mixture after they’ve cooled. 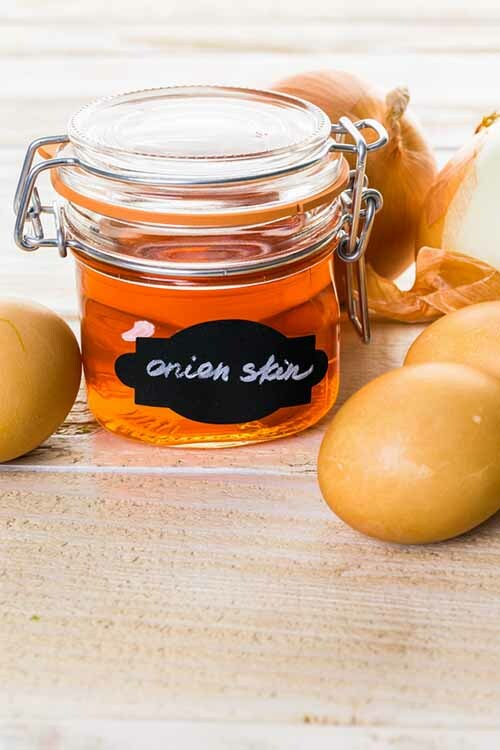 Tip: Gently rub the eggs with some vegetable oil after coloring for a shiny surface. When using coffee grounds or tea, you can strengthen your extraction by varying the ratio of coffee to water, just as you would to create a bold or milder brew. Or you can gently rub some of the grounds into craft paper or fabric for a different effect. In any case, it’s always best to try a test run before applying the color completely to your paper or fabric, to make sure it looks the way you want it to before you go all in. Tip: If you own dark wooden furniture that suffers from scratches, you can use coffee grounds to improve their appearance. Wet a few teaspoons of coffee grounds and rub over the scratch with a cotton swab. Be sure to test this method in an inconspicuous area first. The natural acidity of many types of foodscraps is really helpful for cleaning purposes. 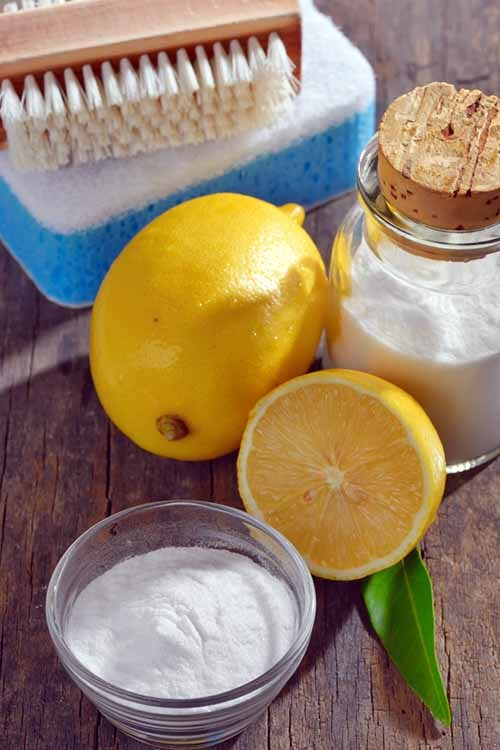 Lemons are wonderful for cleaning, especially when it comes to fighting calcification and hard water spots. When a recipe does not require the juice of a whole lemon, turn the remainder of your sour citrus fruit into this little kitchen helper. I prefer this method to chemical decalcifiers, because it’s 100% natural. Since I use my kettle for boiling water every single day, this is a common problem. Whenever I have half of a lemon leftover, I squeeze the juice into the kettle and leave it to soak for about 1-2 hours. After that, I fill up my electric kettle to the minimum fill line (or you could fill your stovetop kettle above the residue line) and bring it to a boil. Pour out the acidic mixture and most – if not all – of the limescale will be gone. Rinse and check to see if this is the case. If not, fill with water and bring to a boil once more, then rinse again. Let’s get back to another product we’ve already discussed – potato skins. Not only can these be turned into crunchy crisps, they can also help to get your mirrors and sinks clean. The high amount of starch found in this vegetable is great for this kind of work. Simply rub the dirty surface of your stainless steel sink with the moist side of the skin, let it set for a minute, and then wipe clean with a moistened towel. For sparkling mirrors, ditch that blue spray and rub them with potato peels instead, then polish the surface with a soft, dry towel. 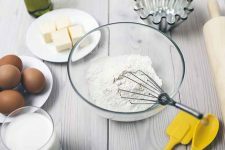 Last but not least, you can also use several types of kitchen leftovers to create natural skincare products. Coffee grounds are not just useful for fertilizing plants – they also make a great exfoliator for use on your body, face, or hands. A wonderful body scrub can be made at home by mixing some coffee grounds into your shower gel. 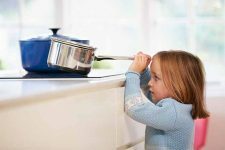 Spread the mixture gently over your body – paying extra attention to rough spots like elbows, knees, and feet – then rinse well. Herbs and citrus are great for adding some natural aroma to home care products, and they really provide a wonderful scent. 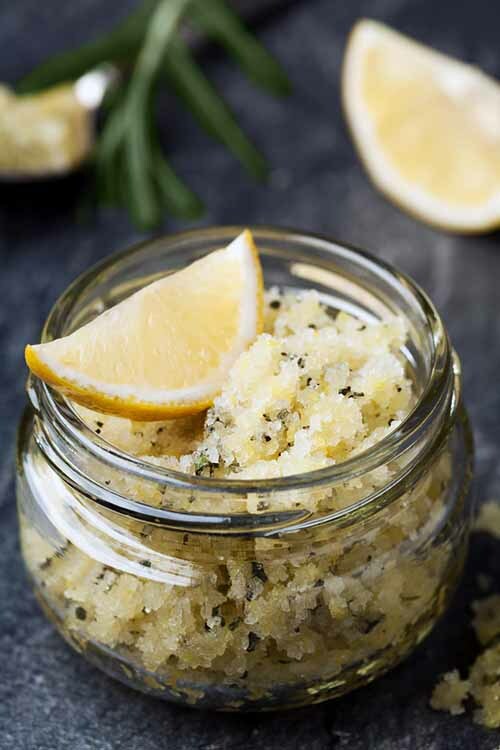 Add some rosemary, lavender, mint, orange peels, or even a few rose petals for an exquisite touch of perfume in your favorite unscented hand cream or shower gel. 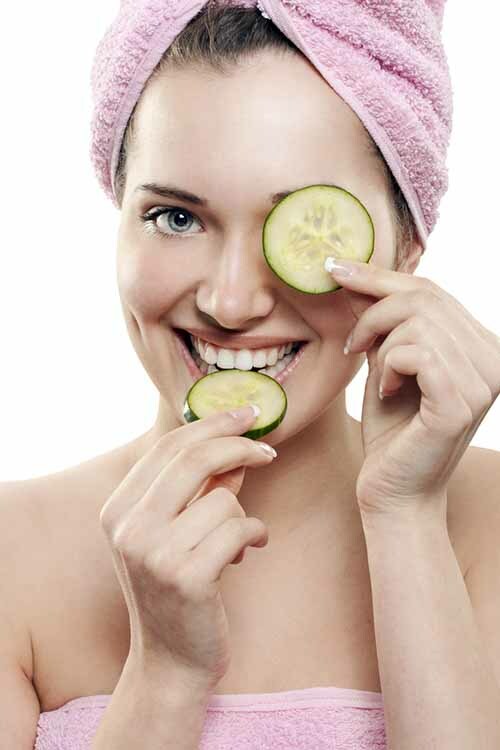 Also, if you have some cucumber left over, profit from its moisture and put some slices on your face for a refreshing and naturally hydrating mask. Though it’s common to use these just over the eyes, they work well on any dry spots, like the cheeks or forehead. And you don’t have to cut up a fresh cucumber – any peels or leftover ends work as well, making this a great way to use up those kitchen scraps. Another nice effect can be achieved with chilled leftover tea bags. Black tea in particular is the perfect choice here. Save the bag after brewing a cup, and put it in the fridge for a while. Whenever you feel like you need a little break, lean back, put the bags onto your closed eyes, and relax for a few minutes. Black tea contains tannins and alkaloids that have antibacterial, anti-viral, and anti-inflammatory effects. This is helpful for stressed eyes, and may also be used as a compress. So many of the food items that we use on a regular basis can be used in more ways than we may think. Best of all, using these items to their fullest potential can help to reduce food waste. 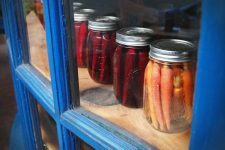 Once you’re done reusing them, many of the active agents in the above described tips and techniques can be put towards yet another purpose – by adding them to your compost pile rather than tossing them in the trash. So please, before you put those peels down the garbage disposal or scrape those produce remains or coffee grounds into the trash can, consider your options! There are so many to choose from. What is your experience with repurposing food scraps as household helpers? Do you have another great idea that is not listed here? Let me know about your favorite tips and tricks in the comments below! 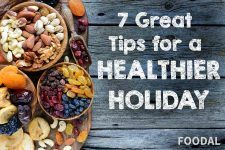 I certainly love seeing soups and stews on the list, and that is really my go to when it comes to using up the veggies that I always seem to have too much of. I think that I need to introduce more of the green smoothie thing into the routine though, and that sounds like another winner. These are some fantastic ideas! I’ll have to go back and read some of the earlier articles mentioned at the beginning. I personally hate throwing out food waste, but I always found composting too smelly. I didn’t know that carrot tops can be used in pesto, and I love the graphic about using plants for food coloring. And while I usually eat as many vegetables as possible with the peels, I like the idea of cooking them as snacks. One of my favorite fiction books mentions “deep fried vegetable peelings”, and I think that would be great with a mixture of veggies, like zuchinni, carrots, etc., like after making a vegetable soup. Another thing that I really hate is using chemicals to clean. The all-natural ones are great, but they’re a bit pricey. 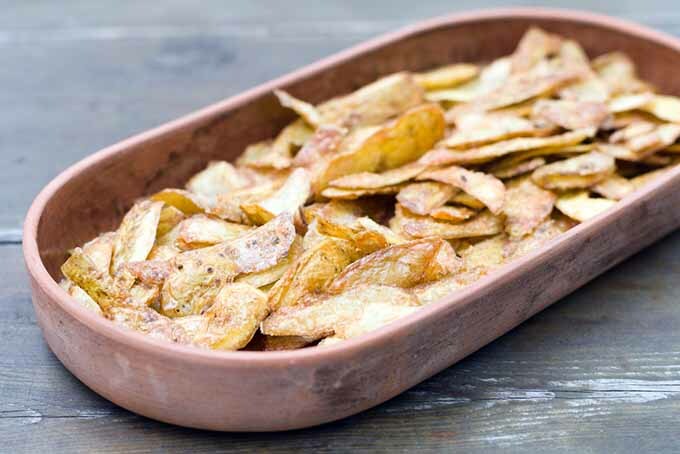 I love the idea of using potato skins to clean with. I will have to try that idea on the mirrors sometime. 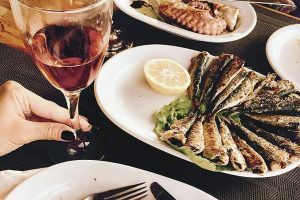 Thanks for posting this great article! I cannot believe I skipped over the seeds part of this one. I happen to love pumpkin seeds and I have all sorts of plans this year. The place I work at this year got a lot of pumpkins for whatever reason and I am pretty sure I will be able to get to all of them for some seeds, so that means snacks for a long time. I was expecting this article to only be about vegetables and fruits then along came the stale cake. 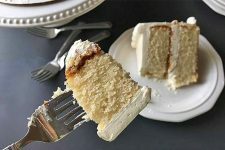 I’ve personally never had a cake go stale. While I’m to trying most of these, I probably won’t use the fertilizer tip. I did it twice before using scraps and both times the plant pots somehow became infested with mosquitoes. I love the ways we can use ????!! ???? stands for lemon.